Use Any Web Font Within WordPress Posts With Inline CSS by using the resources from Google Fonts. 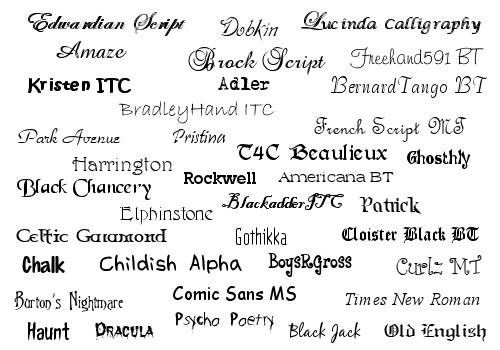 Its easy to use any special fonts like handwritten texts. Just like we have shown how to use Drop Caps like large capital letter like magazine with CSS without actually touching the stle.css file of your theme. We are using inline CSS. Inline CSS is not very good thing for page loading. But it is useful in special cases like, this is actually not a website on designing or webdesigning but a website on core technical things like Cloud Computing. For coding purposes, those handwritten like texts looks odd. But we might need to add only one webpage / post in WordPress with a special font like handwritten text. Adding a div style in style.css file in WordPress outweighs the loss – there is no need to carry extra few lines for only one page. This makes the use any Web Font Within WordPress Posts With Inline CSS guide reasonable. To avoid this way to use Any Web Font Within WordPress Posts With Inline CSS is only one – using graphical images – not real texts. But Google will not give any value as it can not read the text. Users will unable to copy the text if needed like the above chunk of text like graphics showing various fonts. This is the purpose of this guide on how to use Any Web Font Within WordPress Posts With Inline CSS. WordPress, by default will not ‘tolerate’ to use Any Web Font Within WordPress Posts With Inline CSS if you leave HTML mode once ! You have to save and publish in HTML mode. This Article Has Been Shared 9881 Times! Cite this article as: Abhishek Ghosh, "Use Any Web Font Within WordPress Posts With Inline CSS," in The Customize Windows, September 1, 2012, April 21, 2019, https://thecustomizewindows.com/2012/09/use-any-web-font-within-wordpress-posts-with-inline-css/.